FOR 20 OR MORE PEOPLE! This rate is for adults and children. We do Comp 1 Teacher for every 20 students in the group. Option #1: Any two of the attractions below is only $7.00 per person. 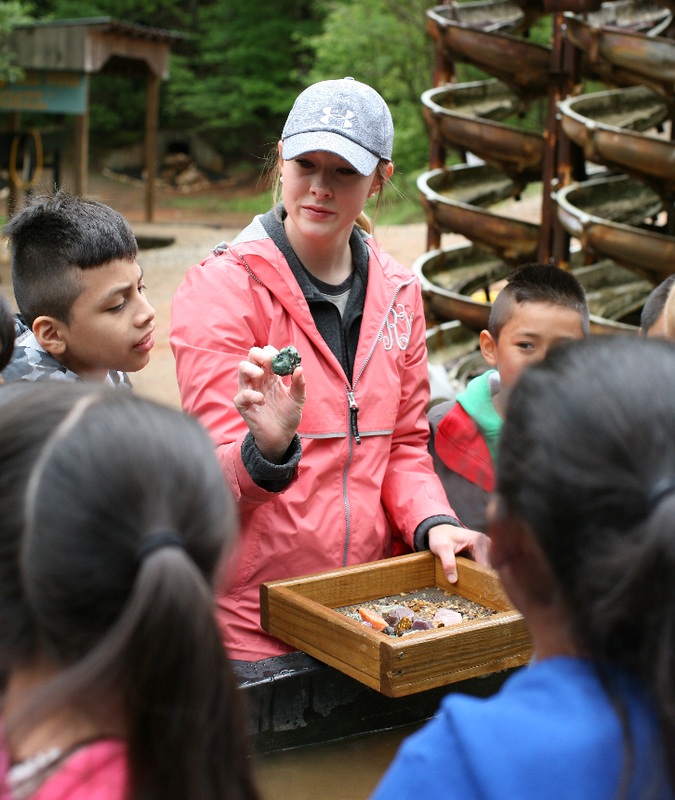 With both of these tour packages, we will have eager instructors to help everyone in your group along the way! 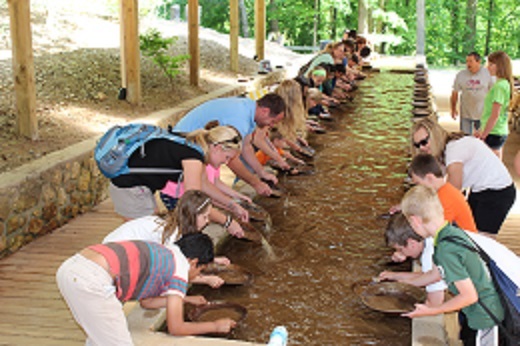 We will run our 135-year-old Stamp Mill and other mining equipment as well as tell you the history of Gold Mining in Dahlonega and the history of the Crisson Mine. With one pan of dirt, you will learn the exciting art of Gold Panning and actually pan for that bright shiny metal yourself. 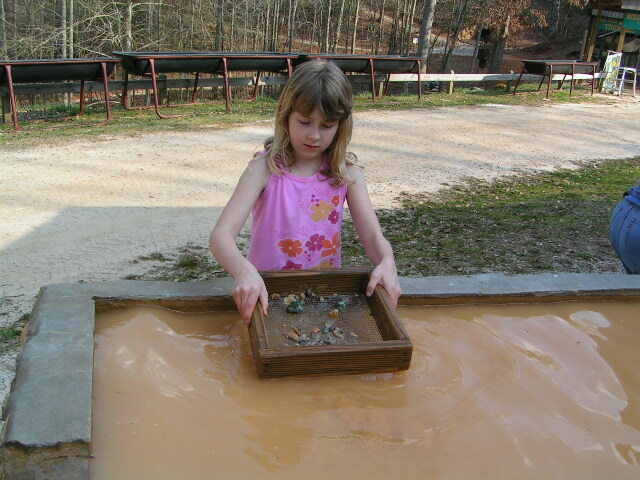 You will get to take home your gold findings in your own bottle, this will be a good way to remember this fun experience. 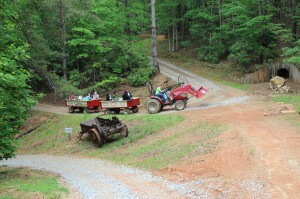 Great way to learn how the Old Timers did it! 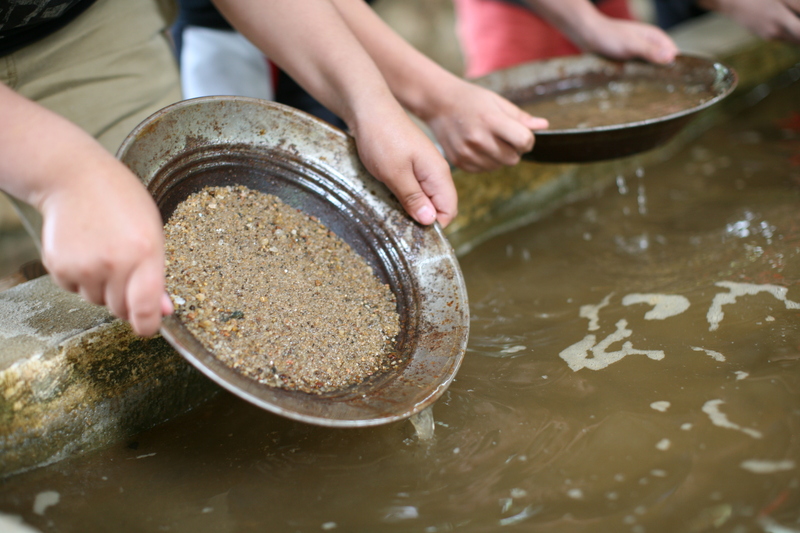 With a two gallon bucket of dirt, you will learn to sift for many types of valuable gemstones from all around the world- Rubies, Sapphires, Emeralds, Garnets, Amethyst, and other brightly colored stones. 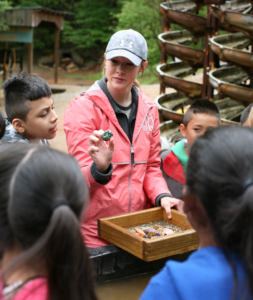 We have wonderful descriptive charts to help identify all your Gems you found, as well as our knowledgeable instructors. 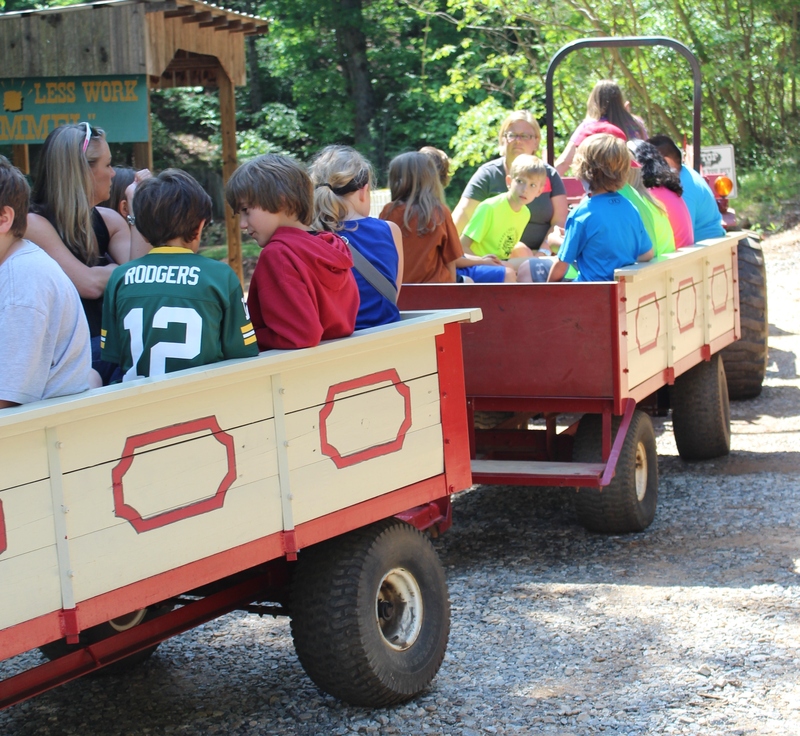 Take our wagon ride through our nice woodsy area where you will see all of our animals, antique farming exhibits, and even pass by a gold mining tunnel as well as our Open Pit Gold Mine. For more information, or to make a booking give us a call or Email. Spaces are limited! We are looking forward to hearing from you!